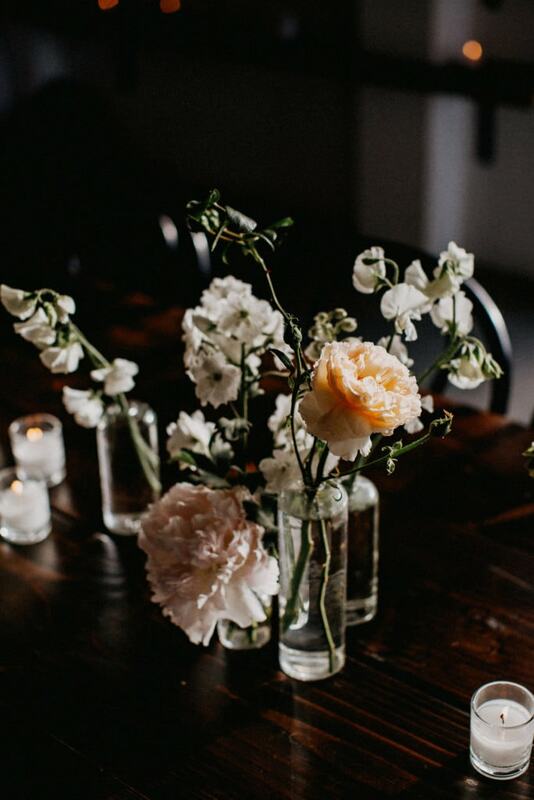 When you begin planning the decor for your wedding, often the first thing that comes to mind is flowers, flowers, flowers. Bridal Bouquet, Bridesmaid Bouquets, Table centerpieces, Alter, boutonnieres, and maybe even the cake. Suddenly you’re surrounded by heaps of flowers. It’s a good idea to hire a florist with a style that fits your vision and can deliver that on your wedding day. Portland has a bounty of florists, all with their own unique style. Some bring a very Pacific Northwest style, while others are importing flowers from exotic lands. Here are my top 5 florists that I love working with (in no particular order) because of their wonderful style and amazing service! 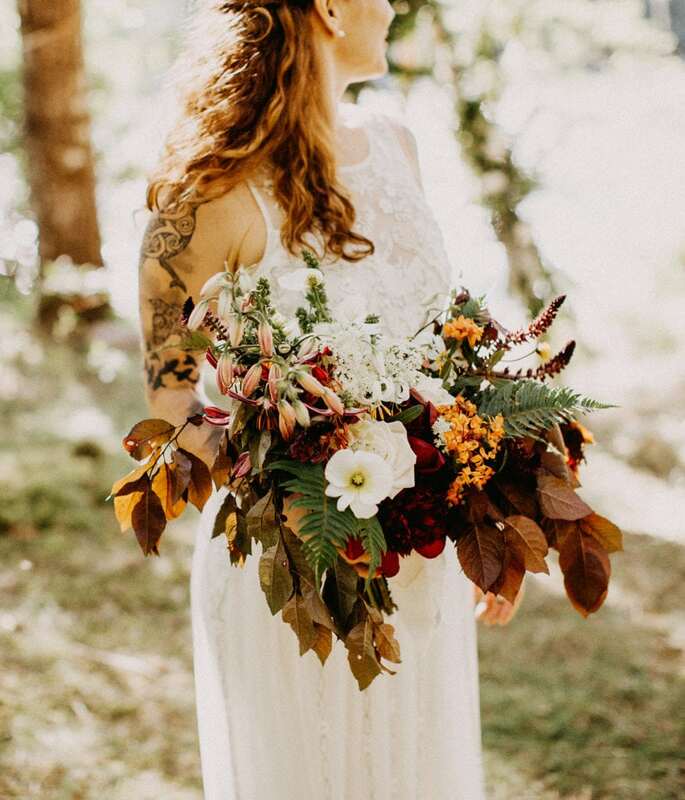 Not only do they have one of the cutest plant shops in Portland, but they also offer a full-service wedding package. They source their flowers from local growers to bring in a bit of authentic wild beauty. They are very quick to respond and they will walk you through the process from start to wedding day. If you want them to make an executive decision for you based on your overall color palette, they offer a “designers choice” package. With a general vision from the couple, they’ll take charge and whip up something magical! If you like big, beautiful, and green things – Look no further. With a chic and minimalist aesthetic, Fieldwork brings a signature style. Think lots of green and white. They source locally and tend to choose plants with unique textures that work! They are my favorite for dressing up a warehouse space because the green brings so much life to an otherwise structured room. They have many different packages to choose from based on the size of your event and your budget. They also offer extra large floral installations. Awesome. I love Vanessa’s romantic and organic style. She is a florist and a stylist. Creating beautiful tablescapes with arrangements that make you look twice. She offers large installations as well and often incorporates dried florals into her designs. I would never have thought to use dried flowers and I think that’s something so unique! Bailey and Johnny are the husband and wife team behind Forest and Field Floral and Botanical Design. They specialize in large-scale installations and forage all of their materials locally. They aim to overwhelm and inspire with their designs full of texture and movement. The installations seem as if they’ve been growing in the space for years. Bailey can truly recreate a little pocket of nature within any space, inside or out. 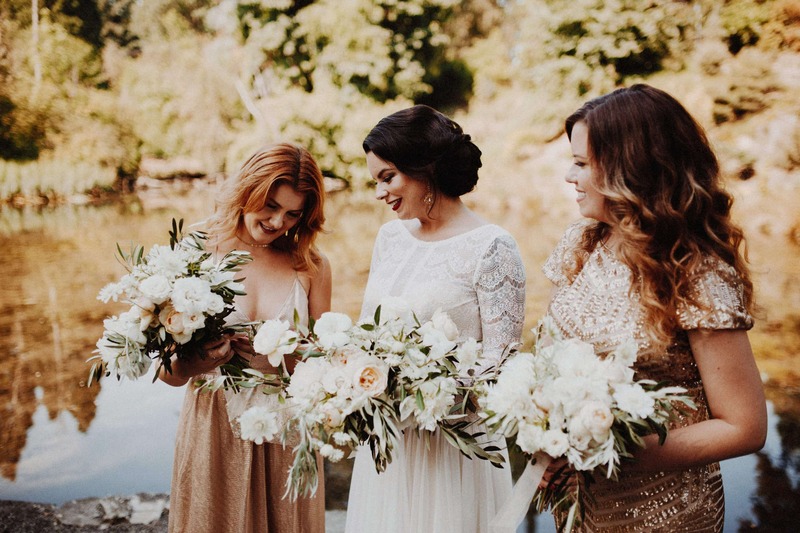 An emphasis on abundant texture and a mix of wild and unique florals from the Pacific Northwest landscape makes Portland Bloem unique. Vanessa Guzman is the designer behind the flowers. Her playful and creative style leads to colorful designs filled with life. Foraging locally and finding out what is growing and when makes her business model sustainable. She also runs a cute brick mortar shop in Portland’s Alberta neighborhood.